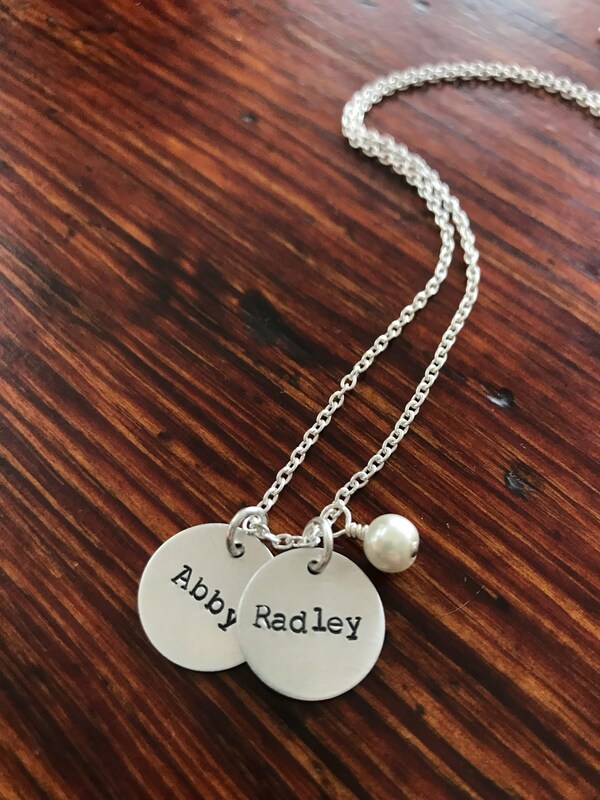 The Jaden II Necklace features ALUMINUM disks (dime size) that are stamped with names up to 7-8 characters. 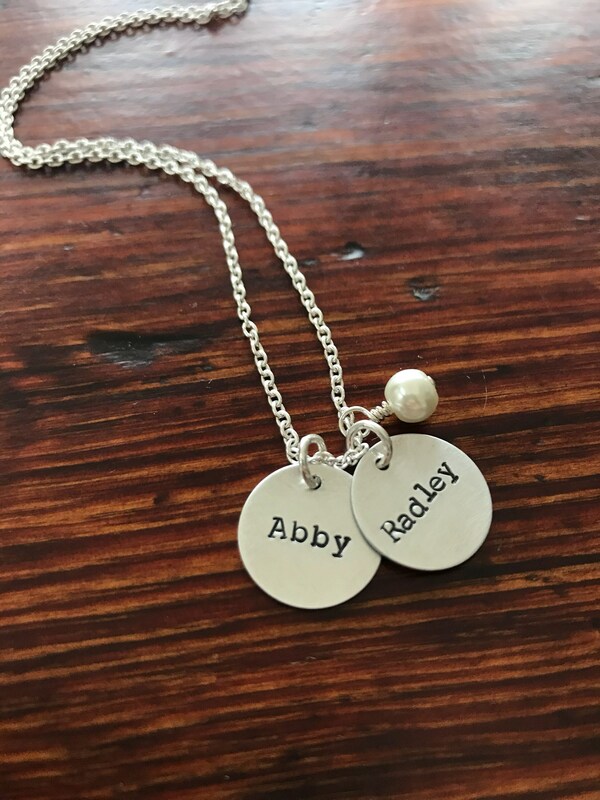 This is a classic and simple necklace design for anyone! Comes with a freshwater pearl dangle. Choose from 1-4 disks. ►In the 'add an optional note' message box, please leave names to be stamped as well as chain length- 16", 17", 18", 19", 20"
PLEASE NOTE: These disks are ALUMINUM. Aluminum is a more economic metal choice than sterling silver. Aluminum is light weight, hypoallergenic, does not tarnish or rust and is eco friendly! 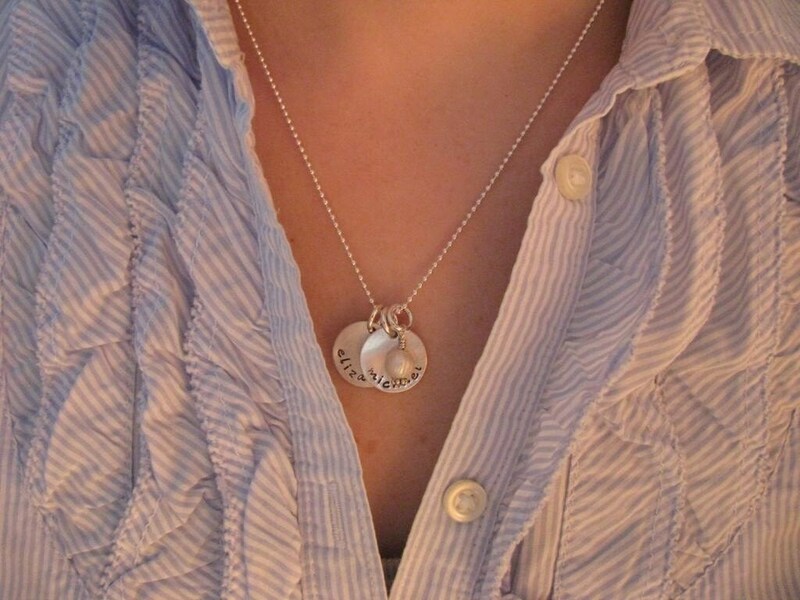 However, if you prefer the quality, pureness and durability properties of sterling silver, check out the Jaden Necklace. ►Model is wearing 18" necklace.